U.S. 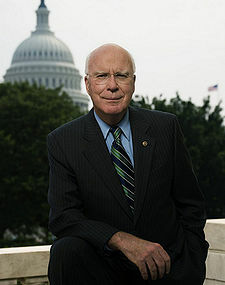 Senators Patrick Leahy (D-VT) (pictured) and Arlen Specter (R-PA) are urging the Justice Department to delay new rules that would give Attorney General Alberto Gonzales authority to limit the time death row inmates spend pursuing appeals before being executed. Senator Leahy chairs the Senate Judiciary Committee, and Sen. Specter is the ranking Republican member of that committee. The two recently sent a bipartisan letter to Gonzales expressing concerns about whether states have adequate protections in place to ensure competent legal counsel for indigent defendants facing the death penalty. "States must be required to take meaningful steps to guarantee adequate representation of death row prisoners before certification occurs. This is especially important in light of the accelerated timing and abridged federal court review. ... It is crucial that the legislative changes to this complex and heavily litigated area of the law be successfully and appropriately implemented, especially given the tremendous stake for individual defendants," the Senators wrote. The newly proposed regulations stem from passage of the Patriot Act, legislation that gives the Attorney General new power to approve requests from states seeking mandatory deadlines for capital defendants who wish to appeal their cases to federal courts. The law requires that the Attorney General decide whether a state has a system in place to provide representation for those facing the death penalty, but some experts feel the new regulations fail to ensure that these attorneys are adequately prepared to handle such cases. "All a state has to do is report it has a system. There seems to be no mechanism that's going to hold them to determining if a system is in fact in place, and if it functions so as to ensure that people are not wrongfully convicted and sentenced to death. That really should concern Americans, "said Kathryn Kase, co-chair of the death penalty committee for the National Association of Criminal Defense Lawyers. The Senators, who share Kase's concerns, have asked Gonzales to delay implementation of the rules until October 5 at the earliest. They note that this change will allow additional time to make sure the new regulations include specific and clear representation guidelines. The Justice Department is currently planning to enact the rules following a public comment period that ends on September 23. (Associated Press, August 15, 2007). During my four years as the American ambassador to France, I discovered that no single issue was viewed with as much hostility as our support for the death penalty. Outlawed by every member of the European Union, the death penalty was, and is, viewed in Europe as a throwback to the Middle Ages. When we require European support on security issues — Iran's nuclear program; the war in Iraq; North Korea's bomb; relations with China and Russia; the Middle East peace process — our job is made more difficult by the intensity of popular opposition in Europe to our policy. Several years ago, Justice Anthony Kennedy spoke to the senior staff of our embassy in Paris on this issue to help them explain our position to a very hostile French audience. I was agreeably surprised when he indicated his belief that sooner or later, we would have to take into account the views of Europeans in determining what constitutes "cruel and unusual punishment." Last March, the Supreme Court, in a 5 to 4 decision, abolished capital punishment for juvenile offenders, concluding that the death penalty for minors is indeed cruel and unusual punishment. "Our determination," Justice Kennedy wrote in the majority decision, "finds confirmation in the stark reality that the United States is the only country in the world that continues to give official sanction to the juvenile death penalty." [G]lobalization has made it not only "appropriate or useful" but vital to look at foreign laws. It is in our interest to be aware of their impact whether they concern antitrust, food safety or the death penalty. Contempt for the laws of our allies is a major factor in our increasing isolation in the world . . . . (New York Times, January 26, 2006). In a forum hosted by the New Voters Project, U.S. Presidential candidates George Bush and John Kerry expressed their views on executing juvenile offenders. "Federal law prohibits execution of those under 18 when the offense was committed, and I see no reason to change that statute," said President Bush. Senator John Kerry stated, "I do not think that executing minors is good policy." (Knight-Ridder, October 17, 2004). On October 13th, the U.S. Supreme Court heard oral arguments in Roper v. Simmons, a case that will determine whether the execution of juvenile offenders is constitutional. See Juvenile Death Penalty. See also, Positions on Capital Punishment of the 2004 Presidential Candidates. Several members of the Arizona House and Senate recently offered apologies to Ray Krone (pictured), a former Arizona death row inmate who was freed in 2002 following new DNA tests. The apologies followed standing ovations from members of the state's House and Senate when Krone was introduced to the legislators in each chamber during floor sessions. Krone, who now travels the nation educating people about the problems with the death penalty, accepted the legislators' apologies and stated, "It's a recognition from actual elected officials of the wrong that was done in the name of the State of Arizona." Arizona Senate Judiciary Chairman John Huppenthal said that Krone's case shows that corrections are needed to protect the innocent, noting, "This is happening more frequently than we would like to admit." Another legislator, Representative Phil Lopes, said that Krone's case "exemplifies why we should abolish the death penalty" in Arizona. (Associated Press, February 21, 2006). "In addition, legislators crafting capital legislation with gusto lacked firsthand knowledge about the many types of individuals within the universe of first-degree murderers....Elected county attorneys and legislators touted capital punishment without any realistic understanding of these differences or of capital sentences' caprice, infrequency, small 'return,' and above all, the financial drain on law enforcement monies otherwise usable for more effective tools of crime fighting." (R. Gerber, "Survival Mechanisms: How America Keeps the Death Penalty Alive," 15 Stanford Law & Policy Review 363, 374 (2004)). "We should not be surprised then that law enforcement officials as well as criminological scholars regularly conclude that capital punishment offers no prospect of deterrence....To capital punishment enthusiasts and economic theorists alike who urge deterrence as a realistic goal of capital punishment, our execution history from colonial days to the present shows deterrence falling so far below these requirements as to be not only illusory but beyond recapture." (R. Gerber, "Economic and Historical Implications for Capital Punishment Deterrence," 18 Notre Dame Journal of Law, Ethics & Public Policy 437, 449-50 (2004)). As Arizona legislators consider reforms to the state's death penalty in light of the Supreme Court's decision in Ring v. Arizona, a number of State House members have come forward with concerns about Arizona's capital punishment statutes. Rep. Gabrielle Giffords, who was elected as a supporter of capital punishment, now questions whether executing inmates makes any sense because she believes the death penalty does not deter crime. Rep. John Huppenthal, a Republican, noted that after the release of the nation's 100th innocent death row inmate, Ray Krone in Arizona, he now supports a moratorium on executions until it is clear that the system protects the innocent. Rep. Henry Camarot urged his colleagues to apply any changes in the law retroactively. Under current legislative proposals, approximately 100 Arizona death row inmates who were sentenced by judges - a practice that was affected by the Ring ruling - and who have exhausted their appeals would not be entitled to resentencing with a new jury. (Arizona Daily Star, July 26, 2002). See also DPIC's Web page, U.S. Supreme Court: Ring v. Arizona. Richard Riordan, a Republican currently campaigning for Governor of California, recently stated that he supports the death penalty but would be open to halting executions in the state if it were shown that they were being unfairly imposed. "Are we applying the death penalty fairly, honestly?" asked Riordan, the former mayor of Los Angeles. "You can't be afraid to look at things like that." (San Jose Mercury News, 1/24/02) California currently has the largest death row population in the nation, with more than 700 inmates. San Francisco District Attorney Terence Hallinan has promised not to pursue the death penalty and recently refused to seek an execution date for death row inmate Robert Lee Massie, despite the fact that Massie has waived his appeals. A bipartisan measure to eliminate the juvenile death penalty in Florida has passed the Senate Criminal Justice Committee and is now on its way to the full Senate for consideration. The measure was introduced by Republican Senator Victor Crist, a death penalty supporter who notes that young people are different because they don't have the same understanding of consequences as an adult. The bill also has support from the state’s top law enforcement officers, Florida Attorney General Charlie Crist and Florida Department of Law Enforcement Commissioner Guy Tunnel. "You need to show some compassion, but you can’t forget the needs of victims. I’m a proponent of capital punishment but I think, generally speaking, this is a good thing," said Tunnel of the bill. Earlier this year, Wyoming and South Dakota eliminated the juvenile death penalty, and the U.S. Supreme Court will decide this fall whether the practice is unconstitutional. The federal government and 19 states prohibit the death penalty for offenders who were under the age of 18 at the time of their crime, and 12 additional states do not have capital punishment. (South Florida Sun-Sentinel, April 14, 2004) See Juveniles: Roper v. Simmons. Florida Senator Victor Crist (R-Tampa), a long-time death penalty supporter, is asking his legislative colleagues to support a bill to bar the juvenile death penalty in Florida. “In my heart and soul I believe it’s the right thing to do. There is a certain essence of juveniles that make them different,” said Crist. Research supports that notion. David Fassler, a Vermont psychiatrist who helped the American Academy of Child and Adolescent Psychiatry draft its policy against capital punishment for juveniles stated, “[L]aws raising the drinking age to 21 or setting the voting age at 18 already recognize that adolescents are different than adults. Now we really have very solid scientific evidence that, even when they do horrible things, they shouldn’t face the same punishment as adults.” Crist believes the bill will succeed in the Senate, which passed a similar measure in 2001. Nationally in 2004, South Dakota and Wyoming have both abandoned the juvenile death penalty, bringing the total number of states that forbid the practice to 31, including the 12 non-death penalty states. The Supreme Court will consider the constitutionality of the juvenile death penalty this fall when it hears arguments in Roper v. Simmons. (Orlando Sentinel, March 8, 2004) For editorials from around the country in support of such a measure, see DPIC’s Roper v. Simmons page and Juvenile Death Penalty. Florida Democratic gubernatorial candidate Bill McBride said that he probably would not have signed death warrants for two Florida death row inmates executed in October, Aileen Wuornos and Rigoberto Sanchez-Velasco, because the Florida Supreme Court had not yet ruled on a case that could have affected the use of the death penalty in the state. "I probably would not have [signed the warrants] at this stage," McBride said. "I would be in no hurry while this confusion is going on." 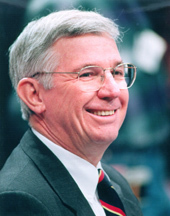 In 2000, McBride called for a moratorium on executions in Florida amid questions of innocent people being sentenced to death. There have been 22 exonerated death row inmates in Florida since the reinstatement of the death penalty, more than in any other state. (Miami Herald, October 9, 2002). McBride lost the election to Governor Jeb Bush. A long-time supporter of capital punishment, U.S. Senator Richard Durbin of Illinois, now backs a national moratorium on executions until questions of fairness are resolved. Durbin recently noted, "I think Governor Ryan has set the stage for an honest debate about creating safeguards in the legal process. Because of inequity and injustices involved in the court system, we need to take a serious national look at death penalty reform, and until we can get that debate under way I support a moratorium." (New York Times, January 19, 2003). The final Maryland Commission on Capital Punishment hearing was held on September 23 and among those testifying were a former U.S. Senator, a New Jersey Police Chief, and a Chief of the Forensics Division of the Maryland Public Defenders Office. All spoke of how they were not philosophically opposed to the death penalty, but had serious misgivings about its application. Maryland’s former U.S. Senator Joseph Tydings said that Maryland has to “be willing to spend the money” if it wants to keep the death penalty. He argued that adequate counsel for defendants was needed and testified that one person is freed from death row for every eight executed since 1976. Acknowledging the cost increase it would entail, Tydings explained, “Just the cost of compensating counsel, it will at least double what’s being spent now, if not triple.” Tydings pointed to a study released by the Abell Foundation this year that found Maryland has spent nearly $200 million over the past 30 years on its death penalty system. He said he believed that it would be “fiscally impossible” to provide a fair system. Patrick Kent, Chief of the Forensics Division of the State Public Defenders Office testified about the limitations of DNA evidence in trying to avoid wrongful convictions. He stated that even when DNA is available against a defendant in a trial in has not always proved to be a guarantee that someone is guilty. He pointed to cases where human error and misconduct have led to the use of DNA evidence against innocent defendants. The bi-partisan Commission was formed by Maryland’s legislature and is due to release its findings by December 15, 2008. Joseph D. Tydings is a former U.S. Senator from Maryland who has both prosecuted and defended death penalty cases. In a recent op-ed in the Baltimore Sun he wrote of his growing concerns about capital punishment generally, and about Maryland's death penalty in particular. His experience with the death penalty led him to the conclusion that "deep and irrefutable flaws are built into our present system of capital punishment. These flaws hold the most risk for those at the margins of society. Given that insufficient protections exist for those facing the death penalty he recommended that "The penalty for conviction in capital cases should be changed to life imprisonment without the possibility of parole until we are willing or able to provide the resources to stop these frightfully tragic miscarriages of justice. An accused innocent is most likely to be charged in a highly emotional atmosphere after a heinous crime has been committed, when there is tremendous public pressure on prosecutors and police to find and charge a defendant. The targets in many of these situations have no financial or family resources and are forced to rely on state-paid attorneys, who often are inexperienced and unprepared to defend them in this type of case. Defendants with substantial wealth seldom face a risk of execution. "As a lawyer and former U.S. attorney, I have both prosecuted and defended death penalty cases. As a member of the Maryland House of Delegates and as a U.S. senator, I have studied and dealt with this issue for more than 40 years. While I have never been philosophically opposed to the death penalty, and have supported it in special cases, I now have deep concerns about the failures in our criminal justice system in capital cases. The Maryland Commission on Capital Punishment - which is holding public hearings in Annapolis and must submit a final report in December - can play a vital role in educating the public and the General Assembly that our present failure to provide competent lawyers for the accused who can't afford one will likely lead to the execution of innocent defendants. The fact that Maryland pays less than any state other than Mississippi for such representation underscores the seriousness of this problem. The commission needs to address two key issues: First, what is the present risk that Maryland will execute innocent people over the next decade? Second, can and will Maryland ensure that indigent defendants facing the death penalty - generally minorities, frequently mentally impaired - are provided with a competent lawyer and fair trial, as required by the Constitution? We now know that in recent years, 129 people in the United States who were found guilty of capital offenses in a trial and were facing a sentence of death were later found to be innocent. In some of these cases, witnesses lied; in others, police or prosecutors took constitutionally unlawful shortcuts; in some, the defense lawyer did not put on a defense. As pro bono counsel, I unsuccessfully litigated a Virginia appeal of a mentally retarded minor who had been convicted and sentenced to death for a crime that I firmly believe he didn't commit, because his court-appointed attorney didn't want to represent him and was basically worthless as his lawyer. After seven years, the Virginia governor ultimately lacked the courage to stay the sentence, and my client was executed. Maryland is not immune to this type of miscarriage of justice. Kirk Bloodsworth, a resident of our Eastern Shore, was sentenced to death and later found to be innocent. Mr. Bloodsworth is a member of the state study commission today. Too many Marylanders have been prosecuted, convicted and sentenced to life for crimes they did not commit - and in some of those cases, it was only a matter of chance that they were not sentenced to death and executed. Americans are just beginning to focus on miscarriages of justice in capital offenses and the fact that our nation, in all likelihood, continues to execute innocent people. Former Supreme Court Justice Sandra Day O'Connor - like myself, a supporter of capital punishment - in 2001 stated: "If statistics are any indication, the system may well be allowing some innocent defendants to be executed." Since she made that comment, several more people have been shown to be innocent after being sentenced to death. The defense of a person accused in a death penalty case is enormously time-consuming and professionally demanding for a lawyer. When a state fails to provide the funds necessary to retain a competent lawyer, our state justice system is forced to rely on the altruism of a dwindling number of pro bono attorneys willing to endure the economic sacrifice and emotionally draining task of defending a capital case. Without a competent lawyer, the likelihood of a wrongful conviction rises drastically. Like Ms. O'Connor, I see the deep and irrefutable flaws that are built into our present system of capital punishment. These flaws hold the most risk for those at the margins of society. I am very skeptical that these flaws can be fairly repaired in today's fiscal climate, where Maryland's state budget is as crunched as any state. A study this year released by the Abell Foundation revealed that the present death penalty system in Maryland has cost the state nearly $200 million over the last 30 years because of "extra" costs of incarceration and prosecution. Unless we are prepared to invest even more in the future for competent lawyers, I believe that there is a very real risk that Maryland (and other states that still have death penalty statutes) will execute innocent people. The commission has heard testimony from veteran defense attorneys about the inadequacy of the pay the state provides to attorneys in capital cases. Maryland pays the second-lowest rate in the nation for such attorneys - far below what it costs a lawyer to take on such a case. Today, the system relies on a dwindling number of lawyers who take the cases at a financial sacrifice because they believe in the importance of providing good counsel to capital defendants. We must honor America's fundamental democratic and constitutional principle that innocent people shall not be executed. The penalty for conviction in capital cases should be changed to life imprisonment without the possibility of parole until we are willing or able to provide the resources to stop these frightfully tragic miscarriages of justice." Joseph D. Tydings is a former U.S. senator from Maryland, a former U.S. attorney and a former member of Maryland's General Assembly. He is now a partner in a law firm. His e-mail is [email protected]. (J. Tydings, "No Fatal Mistakes," Baltimore Sun, August 22, 2008). See Innocence. Maryland Lt. Governor Michael Steele said that he is troubled by a University of Maryland study that revealed racial bias in the state's capital punishment system. Steele said that he will advise Governor Robert Ehrlich to take a closer look at the study's findings through a more thorough review of the research. This second review would enable state leaders to recommend possible legislative reforms to address the fairness problems identified in the original study. Steele said that he will proceed cautiously when advising the Governor about upcoming executions, and he said that he will be an advocate for mercy. 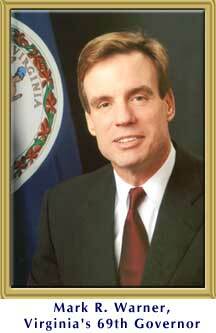 Steele noted, "I feel it is important to relay to the governor and respond to the question of: Should we do this? What is to be gained beyond providing satisfaction to someone who wants to see this individual die?" (Washington Post, January 26, 2003). Read the University of Maryland study. Maryland Governor Parris Glendening announced the nation's first state-wide death penalty moratorium since Illinois halted executions more than two years ago. Glendening said that the moratorium will remain in place until a death penalty study regarding racial bias is completed and the legislature has had an opportunity to review its findings. Maryland Lt. Governor Kathleen Kennedy Townsend, who has declared her candidacy to succeed Glendening, recently announced her support for the moratorium. She noted that it would be "tough to have a report come out and say this wasn't fair knowing that while the report was going on, that people were executed." (Associated Press, May 9, 2002). Lt. Governor Kathleen Kennedy Townsend announced that she supports a moratorium on executions in Maryland at least until a study regarding racial bias is completed. "Given the questions that have been raised, it would be tough to have a report come out and say this wasn't fair knowing that while the report was going on, that people were executed," Townsend said in an interview in her State House office. Townsend will urge Governor Glendening to halt the upcoming execution of Wesley Baker. (Washington Post, 5/3/02). District attorneys from several Massachusetts counties, including Suffolk, Norfolk, Middlesex, Essex and Barnstable, had strong reservations about Governor Mitt Romney's attempt to establish a nearly "foolproof" death penalty system in the state. Some noted that nothing can eliminate the possibility of human error in such cases. The district attorneys said that the state's medical examiner's office and crime labs are currently overwhelmed with work, and that the labs do not have the capacity to add the additional responsibility of carrying out Romney's plan. "Let's fix what's wrong first," said Barnstable District Attorney Michael O'Keefe. "We're significantly behind in the Commonwealth in the delivery of forensic services, relative to other jurisdictions." The plan was created by an 11-member death penalty commission appointed by Romney, and the commission members note that their recommendations will come with a hefty price-tag. Norfolk County District Attorney William R. Keating estimates that using the standards would cost Massachusetts taxpayers at least $5 million per death penalty case, nearly as much as his entire $6.8 million annual budget that funds approximately 19,000 criminal complaints a year. Suffolk County District Attorney Daniel Conley said the release of four wrongly convicted or indicted Massachusetts inmates since he took his job in 2002 "has simply convinced me that while technology like DNA is critical in determining one’s guilt or innocence, the administration of justice is a human endeavor, and we're all fallible." (Boston Globe, May 4, 2004) See Innocence. Also Read the Commission Report. A recent Boston Globe survey revealed that a majority of the Massachusetts legislature would oppose attempts to reinstate the death penalty. In the Senate, which once backed reinstatement, the proposal would now be defeated by a vote of 21-19. An overwhelming majority of House members (93-62) would also oppose the measure. Several legislators, including former prosecutors and a former police officer, told the Globe about their concerns regarding wrongful convictions in murder cases. "I'm kind of a law-and-order guy, but I know the system is flawed," said Michael Costello, a former Essex County prosecutor and current House member. (Boston Globe, November 20, 2002) See also, Innocence. I was a prosecutor. I've sent people to jail for the rest of their lives. I'm opposed to the death penalty in the criminal justice system because I think it's applied unfairly, as even Republican governors have determined, and because I'm for a worse punishment. I think it is worse to take somebody and put them in a small cell for the rest of their lives, deprived of their freedom, never to be paroled. I don't think it is right to have a criminal justice system that kills innocent people. Over 100 people have been released from death row in America in the last year with DNA evidence and other evidence showing they didn't commit the crime for which they had been [convicted], some of them in jail for 10, 15 years for a crime they didn't commit. (Meet the Press - transcript, December 1, 2002). Missouri Rep. Bill Deeken (pictured), a Republican death penalty proponent, has introduced legislation that would halt executions in the state until 2011 and would create a capital punishment commission to examine the fairness and accuracy of Missouri's death penalty. Deeken stated that his motivation for the bill came after realizing that the state's death penalty has not been implemented fairly in all cases and it does not adequately prevent wrongful convictions. He noted, "I am not against the death penalty. But what I am for is to make sure that any person that is sentenced to death is the right person. If I was on a jury, and I found out that I had put someone to death that was not guilty, it would bother me for the rest of my life." Deeken's bill would establish a commission consisting of a broad cross-section of death penalty experts throughout the state, legislative leaders, a murder victims' family member, and a family member of an individual on death row. The commission would look at issues regarding the death penalty and report its recommendations and findings to the governor, legislature, and Missouri Supreme Court by 2011. (Columbia Missourian, February 1, 2007). In 1982, as a second term Assemblyman, Raymond Lesniak voted to reinstate the death penalty in New Jersey. In December 2007, New Jersey voted to abolish the death penalty, becoming the first state in 40 years to accomplish this. Senator Lesniak was one of the sponsors and legislative leaders of the abolition bill. He has written a new book: "The Road to Abolition: How New Jersey Abolished the Death Penalty." State Assemblyman Nelson T. Albano of Cape May, New Jersey, announced at a forum on the death penalty that he has changed his mind and now opposes capital punishment. Albano said that his change of heart came after reading a book about Kirk Bloodsworth, the 1st death-row inmate in the United States to be exonerated by DNA evidence. The book led him to the insight into that the capital-punishment system is flawed and should be put on hold. "I think we owe it to the people in our prisons who are innocent to stop executing," he said. Albano noted that his 19 year-old son was killed in 2001 by a drunken driver who was a 5-time repeat offender. He considers his son's killing an act of murder. Nevertheless, he said a life sentence was more appropriate than the death penalty. "I know what it feels like to want revenge," he said. “Let the guilty truly suffer and live their lives without freedom." The state currently has a moratorium on executions while a commission is reviewing all aspects of the death penalty system. (Atlantic City Press, Sept. 19, 2006). In a Baltimore Sun opinion piece, U.S. Senators Russ Feingold (D-WI) and Jon Corzine (D-NJ) called for a national halt to executions while an independent review of the nation's death penalty is conducted. The Senators wrote, "The message is clear: In response to the glaring flaws in the administration of capital punishment, the nation should conduct a thorough, nationwide review of the death penalty. No executions should go forward while an independent, blue-ribbon commission examines the federal and state systems of capital punishment - systems so riddled with errors that for every eight people executed in the modern death penalty era, one person on death row has been found innocent." The Senators are co-sponsors of the National Death Penalty Moratorium Act. (Baltimore Sun, May 16, 2002). New Mexico Governor Says Eliminating Capital Punishment May Be "Better Public Policy"
I am of the opinion that swift and sure punishment deters crime. Currently, I do not believe that New Mexico's death penalty serves as an effective preventative measure because it is neither swift nor sure. The time period currently allowed for appeals under the process is too long and yet I have come to believe that innocent people might be put to death if these safeguards are not in place. Opponents allude to an array of alarming national statistics, which suggest that the death penalty is discriminatory in its application. Those opposed to the death penalty point out the disparities that exist with regard to individuals receiving the death-penalty sentence. They argue persuasively that these disparities are a result of several factors including prosecutorial discretion as well as racial and economic discrimination. Although I do not intend on declaring a moratorium on executions in New Mexico, eliminating the death penalty in the future may prove to be better public policy given the reality of the sentence today. Accordingly, within these parameters, I am open to a debate on this topic. (Santa Fe New Mexican 10/28/01). Terry Clark is scheduled to be executed on November 6, 2001. It will be the first execution in New Mexico in over 40 years. The Democrats, who control the Assembly, should make it clear that they will not pass a new death penalty law. This will take courage, but it is vital that they do so: We cannot rely much longer on a progressive Court of Appeals to intercede and prevent executions, as has happened since 1995, when the death penalty was reinstituted in New York. (Mr. Pataki had vowed to reinstate the death penalty in his campaign against my father, Gov. Mario M. Cuomo.) As judges appointed by Governor Cuomo retire over the next few years, Governor Pataki will install more conservative court members. More important, there remains no evidence that the death penalty is a deterrent to crime and plenty of evidence that it is invoked arbitrarily - and often mistakenly. Last year, 267 inmates nationwide had their death sentences overturned or removed, according to the Justice Department. This is the largest number in any year since 1976, when the United States Supreme Court upheld the constitutionality of state death-penalty laws in a group of states. Other developments since 1995 have also mirrored the growing doubts about capital punishment. In 2000, Gov. George Ryan of Illinois, a Republican who had supported the death penalty, imposed a moratorium on all executions in his state, citing instances in which death-row inmates were found to be innocent. And a report issued in November by the Justice Department reveals that death sentences nationally are now at a 30-year low. At the same time, cases in which DNA evidence has established the innocence of people convicted of capital crimes - along with concerns about racial bias in death-penalty sentencing - have further undercut support for capital punishment around the country. According to a 2004 Gallup Poll, about half of all Americans say that convicted murderers should get the death penalty. But just under half instead support a sentence of life imprisonment without the possibility of parole. Public opinion has been shifting toward this second option, according to the Gallup organization. The poll also showed that 62 % of Americans believe that capital punishment does not act as a deterrent, compared with 51 percent in 1991. Nor does capital punishment make sense financially. Many studies show that it is more expensive for taxpayers to pursue executions than to sentence criminals to life without parole. Indeed, New York State has spent at least $160 million pursuing the death penalty since 1995. Unfortunately, the prevailing thinking in Albany is that opposition to the death penalty is "political suicide." I disagree. While the public overall still favors the death penalty, public opinion in New York has been shifting. A poll conducted in 2003 by Quinnipiac University shows that a majority of New York Democrats oppose the death penalty and that a majority of all New Yorkers favor sentences of mandatory life without parole over execution. Such sentences did not exist in the state when the death penalty law was passed in 1995. Leadership can change public opinion, and this shifting point of view may become even more pronounced if the Assembly Democrats wage an intense debate on the issue, informing people of the facts - and of the shortcomings of the bills awaiting action in the Legislature. While other states are instituting safeguards against police and prosecutorial misconduct and ensuring protection for mentally ill defendants in capital cases, for example, these issues are not addressed in the governor's or Senate's proposals. For the public, the debate can begin as early as this week. The first of a series of public hearings on the death penalty is to be held in New York City on Wednesday. The Court of Appeals ruling that suspended the state's death penalty has given New Yorkers a window of opportunity, a moment to enact a real reform. It should not be lost. (New York Times, December 12, 2004) (emphasis added). See DPIC's Web page on New York Court of Appeals Ruling. Note: Hearings on the death penalty were held in Manhattan on December 15. Additional hearings will be held in Albany on January 25. According to prominent New York lawmakers, there is little chance that legislators will pass a bill this year to fix the state's unconstitutional death penalty. Many experts believe that the state's statute, which N.Y.'s highest court struck down earlier this year, may never be re-enacted. Republican Senator Dale M. Volker noted that when the Court of Appeals struck down the law, New York heard "the death knell of the death penalty, for the time being." Sheldon Silver, the Democratic Speaker of the Assembly and a death penalty proponent, noted that many people "are willing to accept life without parole, which was not an available remedy before 10 years ago." Silver stated, "Many people have questions. I don't think it's something that should be on a fast track." In the coming weeks, New York's Assembly will hold public hearings regarding the state's death penalty laws. (New York Times, November 18, 2004). The hearings are scheduled to take place in New York City on December 15 and in Albany on January 25. See DPIC's Summary of People v. Stephen LaValle (overturning N.Y.'s death penalty). New York Assembly Speaker Sheldon Silver, a long time supporter of capital punishment, called for New York's legislature to step back and more thoroughly review the state's death penalty system, which has not resulted in any executions and has cost the state more than $170 million in the last decade. Speaker Silver said that his chamber would not follow the lead of the state Senate, which passed an amendment to fix the state's death penalty law without hearings. "After 10 years of having the death penalty, and very limited ... attempts to use it and enforce it, I think we should look at the whole thing." Silver said. Senator Seymour Lachman, a Democrat from Brooklyn who is not opposed to the death penalty, said: "Why are we rushing? There have been no public hearings, there has been inadequate public review, the [district attorneys] of New York have not been involved, the major religious organizations of the state are opposed to this, and yet we haven't brought them into the process." Marguerite Marsh of Guilderland, NY, whose daughter was murdered in the late 1990s, does not want to see her daughter's killer executed. She said "I hope they take their time and really debate this....I feel more peaceful about it knowing I didn't put him to death." (Albany Times Union, Sept. 15, 2004). The New York League of Women Voters has urged state lawmakers not to attempt a "quick fix" solution to the state's flawed death penalty law. "We now have a unique opportunity to re-examine the use of the death penalty in New York," said Marcia Merrins, president of the League of Women Voters. In June 2004, the New York Court of Appeals declared the state's death penalty unconstitutional. The League of Women's Voter's, which plans to host a series of capital punishment forums throughout New York in the coming months, believes that the ruling offers lawmakers an opportunity to look beyond the immediate concern of the unconstitutional provision and examine other issues that will inevitably emerge despite the passage of patch work legislation. (New York Law Journal, July 15, 2004) See DPIC's Summary of the New York ruling. During his campaign to serve as Ohio's governor, Democrat candidate and Tim Hagan stated that he would grant clemency to any inmate nearing his scheduled execution. "I'm going to commute every person who comes before me, because I'm opposed to capital punishment," Hagan said during a joint appearance with his Republican challenger, Governor Bob Taft. "Unlike you (Taft), I don't believe the people in the state of Ohio are any safer executing 5 people." (Lancaster Eagle-Gazette, October 15, 2002). Hagan lost the election to Governor Taft. Pennsylvania State Representative Michael McGeehan, a tough-on-crime lawmaker from Philadelphia, who earlier had pushed for expedited executions, now regrets that stance. He is sponsoring legislation that would compensate those who have been wrongly convicted. McGeehan's bill, which would also immediately expunge a wrongly convicted person's criminal record, was prompted by his outrage at the number of people who have been wrongly convicted and released from prison. McGeehan points to a number of innocence cases, including that of Ray Krone of Pennsylvania, who was exonerated and freed from death row, as the basis for his concern. He said that he might even support a moratorium on executions in Pennsylvania until there is a requirement for DNA testing in the state. "It seems like more and more of these cases are coming up, almost on a monthly basis," McGeehan noted. "It's very disturbing that mostly what we do when we find out we convicted someone wrongly is just let them go and say, 'Opps.' Oops isn't good enough. . . . I led the charge to expedite the signing of death warrants. I wish I could turn back the clock," McGeehan said. (Philadelphia Daily News, January 27, 2006). Just two days after Tennessee's first electrocution in nearly 50 years, Governor Phil Bredesen (pictured) commuted the death sentence of Michael Joe Boyd to life in prison without parole. The Governor called the representation Boyd received during his appeals "grossly inadequate," adding that Boyd's claims were never comprehensively reviewed because his appellate attorney - Dan Seward - failed to provide evidence to support Boyd's initial claim that he was poorly represented during his trial. Bredesen observed, "I've always taken the position that I'm not trying to be the 13th juror; I'm trying to be a backstop. The judicial system just kind of broke down." Boyd's current attorney, Robert Hutton, said that Boyd's clemency request to Bredesen was one of the last legal avenues available before his scheduled execution on October 24. Boyd, now known as Mika'eel Abdullah Abdus-Samad in prison, has been on death row since 1988. He was convicted of shooting William Price in 1986. Boyd claims the shooting was accidental, but he was convicted of felony murder in perpetration of a robbery. The Tennessee Supreme Court upheld Boyd's death sentence in 1998, when the justices dismissed his claim that prosecutors improperly cited the murder itself as an aggravating factor to support their call for the death penalty. "He is deeply grateful, thankful and deeply remorseful about his actions in his past. He's trying to spend the rest of his life making a positive contribution to society," Hutton said of Boyd. (Associated Press, September 14, 2007). In a recent meeting with the Fort Worth Star-Telegram Editorial Board, Texas Lt. Governor David Dewhurst urged legislators to re-examine the state law that allows an accomplice to be tried by the same judge and jury as the shooter in murder cases, adding that he agreed with Governor Rick Perry's decision to commute Kenneth Eugene Foster's death sentence to life in prison based on similar concerns. Dewhurst also called on legislators to establish a state innocence commission to study wrongful convictions and possible reforms to the criminal justice system. "We only want the truly guilty to be subject to punishment in Texas. None of us want an innocent person convicted. ... I'd like the Senate to coalesce on a position," Dewhurst said. Dewhurst stated that he will ask the Texas Senate to conduct an interim study during the Legislature's hiatus to determine the commission's charge. Dewhurst, who considers requests for stays of execution when Gov. Perry is out of the state, did not offer specifics about the scope of review the commission would have, but said he wants to establish the commission to ensure the criminal justice system is working properly. His concerns, in large part, stem from a series of 14 DNA exonerations in Dallas County, which has reversed more convictions because of DNA evidence than any other U.S. county. In addition, just this week in Houston, where concerns about wrongful convictions and the handling of DNA evidence have gained substantial attention in recent years, DNA evidence has prompted the Harris County district attorney's office to ask that a man convicted of sexual assault in 1995 be released from prison. This year, Texas Senator Rodney Ellis introduced legislation to create an innocence commission, but the bill failed to pass in the House after its approval by the Senate. He welcomed Dewhurst's backing of the measure, but voiced frustration that Gov. Perry, the Texas Supreme Court, and the Texas Court of Criminal Appeals had all failed to establish the commission without legislative approval, a power that each entity holds. Even Texas Supreme Court Chief Justice Wallace Jefferson, who has spoken in favor of the commission in two speeches to the Legislature, has not established a commission independently. "Any opportunity to review the criminal justice system in Texas is certainly well-warranted. (But) if nobody else is willing to step up and show leadership on this issue, I may just do it for them," Ellis noted. Senator John Whitmire, chairman of the Senate Criminal Justice Committee, said final approval of the commission will require the vocal support of Chief Justice Jefferson, Lt. Gov. Dewhurst, and other leaders. He observed, "It seems like in this building we are talking about a smarter approach to fighting crime. You want to do it right, and it is only as good as it works and as people respect it. There is something to be said about scrubbing decisions and court actions. How do we prevent the next mistake?" (Fort Worth Star-Telegram, October 4, 2007). The Texas Democratic Party has adopted an historic party platform that contains a number of death penalty reform recommendations, including a call for legislators to enact a moratorium on executions, to ban the execution of juvenile offenders and the mentally ill, and to consider adopting a life without paroles sentence in Texas. More than 1,700 attendees at the Democratic Party’s state convention signed a resolution calling for the moratorium, surpassing the 30% signature threshold required to bring a measure before the full voting body. That voting block overwhelmingly supported the recommendations and added the measures to the final party platform. (2004 Texas Democratic Party Playform, June 19, 2004) Read the Texas Democratic Party Platform. Travis County recently became the first Texas county to pass a resolution calling for a moratorium on the death penalty and an in-depth study of the state's capital punishment system. The Travis County Commissioners Court passed the resolution as serious concerns about the state's death penalty, including the accuracy of crime lab findings in Houston and Fort Worth, continue to surface. County Judge Sam Biscoe said before the vote that it was "the right thing to do." He later stated that he supports the death penalty if there is no doubt that it is being administered fairly, but he doesn't believe that is happening. Commissioner Margaret Gomez noted, "We seem to take life very lightly...that it's OK to execute great numbers of people, and that bothers me." (Austin American-Statesman, April 30, 2003). I listened to my constituents. In town hall meetings and in one-on-one conversations, my constituents were troubled by Texas' application of the death penalty. "We need to find out what is broken in our system," they would tell me. Last session, other legislators also introduced moratorium proposals. At committee hearings, there was overwhelming support for a moratorium and the need for a study commission. Concerns about Texas' death penalty have been raised by a number of present and former state officials. Former Bexar County district attorney Sam Millsap, who successfully prosecuted a number of capital cases, noted, "We're talking about some serious, conservative, pro-prosecution people who have some fundamental questions about whether we know what we're doing right now. What we're saying is 'Let's stop the train until we've got a system we're confident works.' "
Millsap's sentiments were echoed by State Senator Mike Moncrief, who said, "I think there's a clear possibility - and a high probability - that we have executed innocent people in this state." State Representative Elliott Naishtat also questioned the fairness of the state's application of the death penalty and called for a moratorium on executions until the Texas system can be reviewed. Naishtat stated, "Texas' application of the death penalty is riddled with systemic problems. The Legislature should adopt a joint resolution that authorizes a constitutional amendment giving the governor the authority to declare a temporary moratorium on executions in Texas." (Austin American-Statesman, June 2, 2002). Eighteen state legislators asked Texas Governor Rick Perry to commute Napolean Beazley's death sentence, citing the fact that he was only 17 at the time of the crime. "Texas' practice of executing juvenile offenders like Napoleon runs counter to a well-established worldwide norm," the lawmakers wrote. "Every nation with a working government, except the United States, has ratified the United Nations Convention on the Rights of the Child, which bars giving the death sentence to anyone under 18 at the time of the offense." The letter also noted that Smith County state District Judge Cynthia Stevens Kent, who presided over Beazley's trial, had also written to Perry and recommended that he commute Beazley's death sentence because of his age at the time of the crime. (Houston Chronicle, 9/20/01). Representative Ciro D. Rodriguez (D-TX) recently urged Gov. George W. Bush to halt "Texas' execution conveyor belt" until the state's capital punishment system could be studied. Rodriguez, a death penalty supporter, stated, "[R]ecent questions about the fairness and accuracy of the death penalty have led to a growing consensus in Texas, and across the nation, that our criminal justice system might be punishing the wrong people." (Congressman Ciro D. Rodriguez, Press Release, 8/29/00). Two Virginia lawmakers who have had a family member murdered recently spoke in opposition to the death penalty. During a senate committee hearing on a bill to impose a moratorium on executions, Senators Henry L. Marsh III and Janet D. Howell noted that their opposition to the death penalty was based in their experience of losing a loved one to murder. Howell's father-in-law was murdered in his home eight years ago. She noted, "Up until then, I was in favor of the death penalty. But when my father-in-law was murdered, I discovered that the possibility of a death sentence on someone did not unify my family; it splintered my family. One of the reasons that I had always supported the death penalty was suddenly not there anymore." Marsh added that his brother was shot eight years ago. Though Marsh momentarily questioned his opposition to the death penalty, he stated that his brother's murder and the events that followed made him even more convinced that there could be innocent people sentenced to death. The legislation failed to pass out of committee. (Washington Post, January 17, 2006). Our state continues to cling to the outdated "21-day rule" that can actually prevent evidence of innocence from coming to light. No other state has such a restrictive rule . . . . I believe the rule should be changed. In June, the Supreme Court ruled that executing persons who are mentally retarded is unconstitutional. Once again, I urge you to send me legislation to comply with the court's decision and prohibit the execution of mentally retarded persons in Virginia. (Washington Post, January 9, 2003). In the past, I have been a strong advocate of the death penalty. I voted in favor of the resumption of capital punishment in 1977, and I have supported additional provisions expanding the categories of criminal actions for which the death penalty may be imposed. However, I have now become one of those who believe that we must take another look at the death penalty. . . . In fact, I'm now proposing a 2-year moratorium on executions. I believe it is time for a new dialogue on the death penalty. New scientific evidence, such as DNA testing, has revolutionized all areas of crime detection, criminal prosecution and criminal defense. A moratorium on the death penalty will give elected officials and the general public the chance to take a hard look at the evidence to see whether the death penalty is serving its purpose. (The Roanoke Times, 1/31/02) Read the entire op-ed. "The General Assembly of Virginia has concluded another year of activity without addressing one of the glaring needs of improvement in the criminal-justice system. That need is to change the law relative to the admission of evidence as it relates to persons who have been sentenced to death under the laws of the Commonwealth.